The presence of water is essential for the formation of hydrogen ions and it is only the presence of these ions which causes acidity. 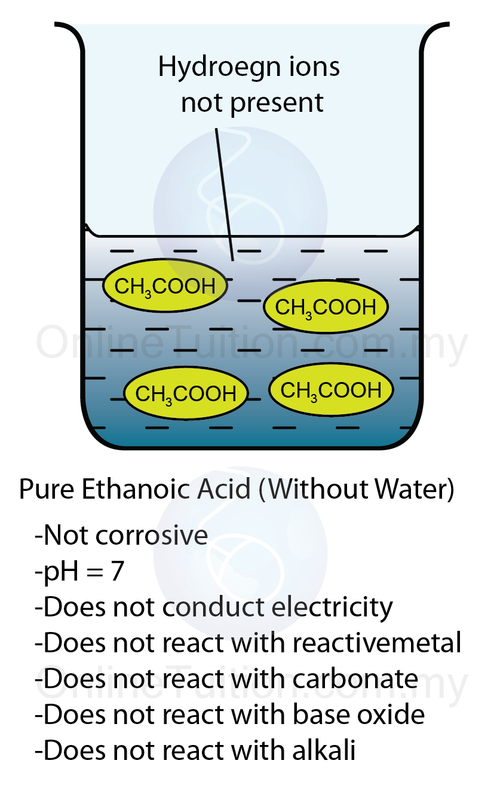 Without water, an acid won’t show the properties of acid. Alkali shows alkaline properties only in the presence of water. Diagram below shows the illustration to investigate the role of water in showing alkaline properties of ammonia. 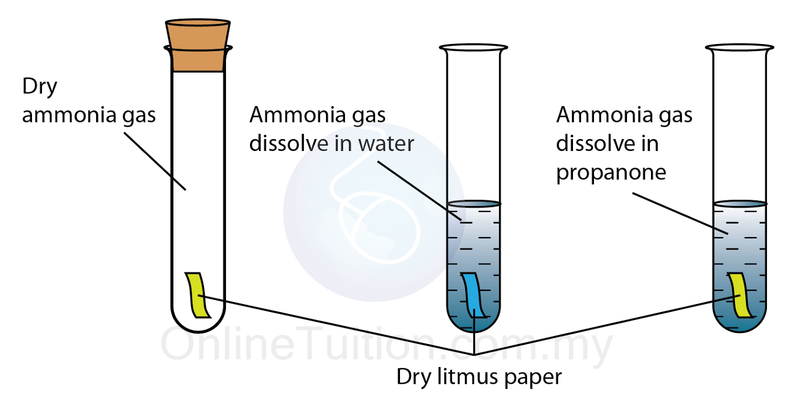 The ammonia dissolve in water can turn red litmus paper to blue whereas the dry ammonia gas of the ammonia gas dissolve in propanone give no effect to the litmus paper. Acids are chemical substances that ionize/dissociate in the presence of water to produce hydrogen ions (or hydroxonium ions). The strength of an acid depends on the degree of ionization/dissociation of the acid. 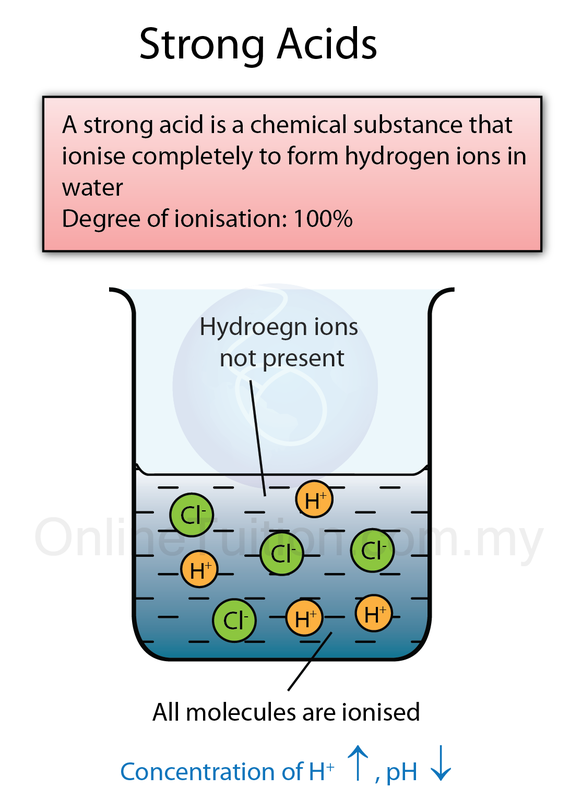 Strong acids are acids that ionise completely to form hydrogen ions in water. 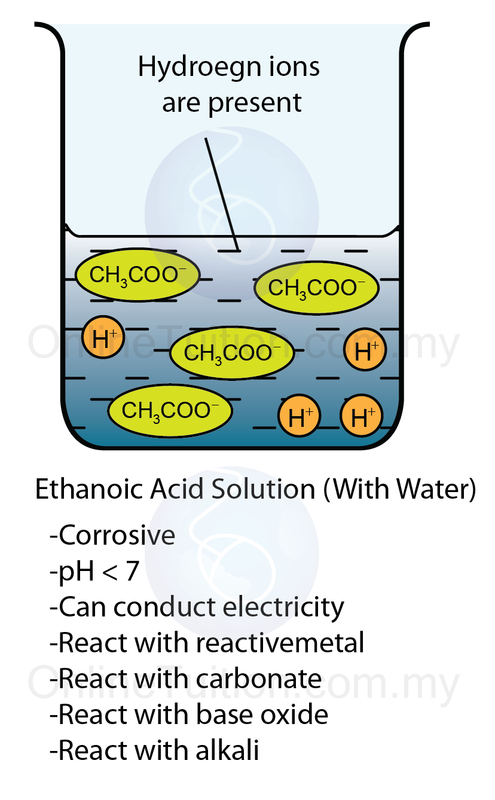 Weak acids are acids that partly ionise to form hydrogen ions in water. Similar to strength of acids, the strength of an alkali is defined by its ability to ionise and release hydroxide ions (OH–) in the solution. In a solution of strong alkali, all the alkali molecules are ionised in the water to produce hydroxide ions. 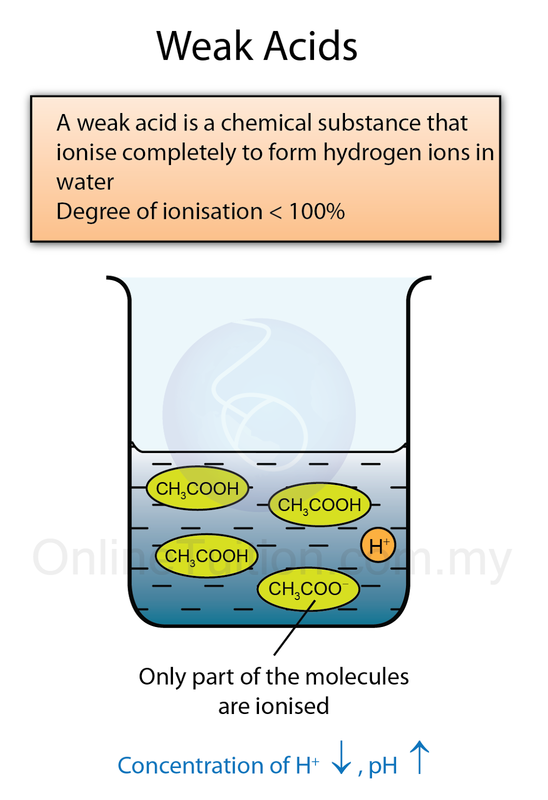 In a solution of weak alkali, only small portion of the molecules are ionised to release hydroxide ions. Table below shows some example of strong/weak alkalis.